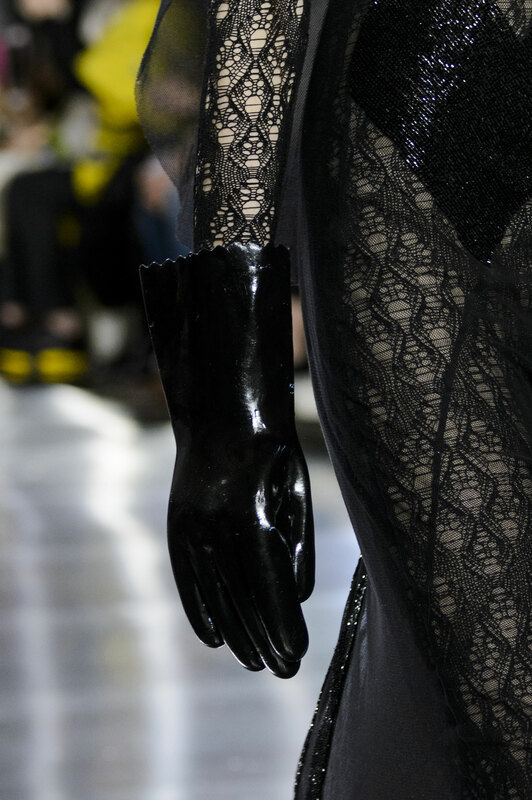 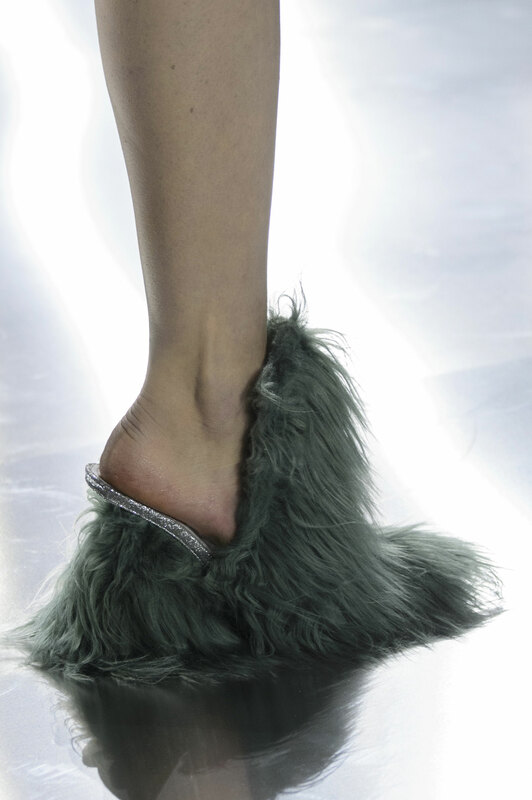 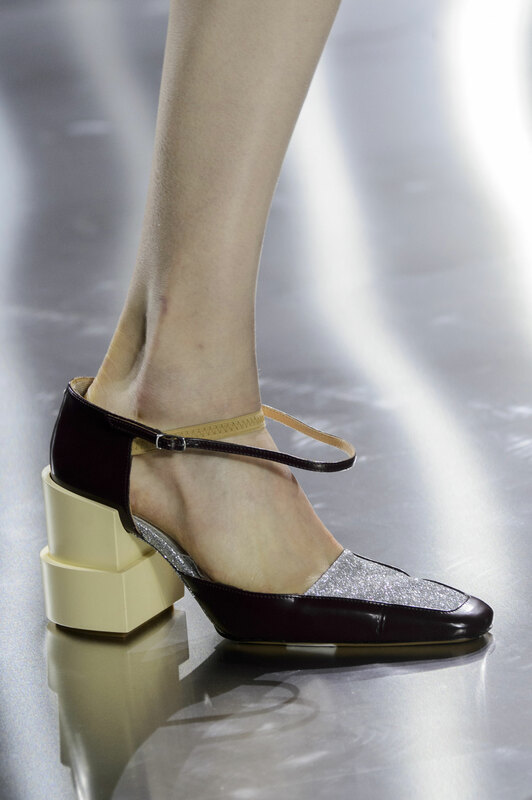 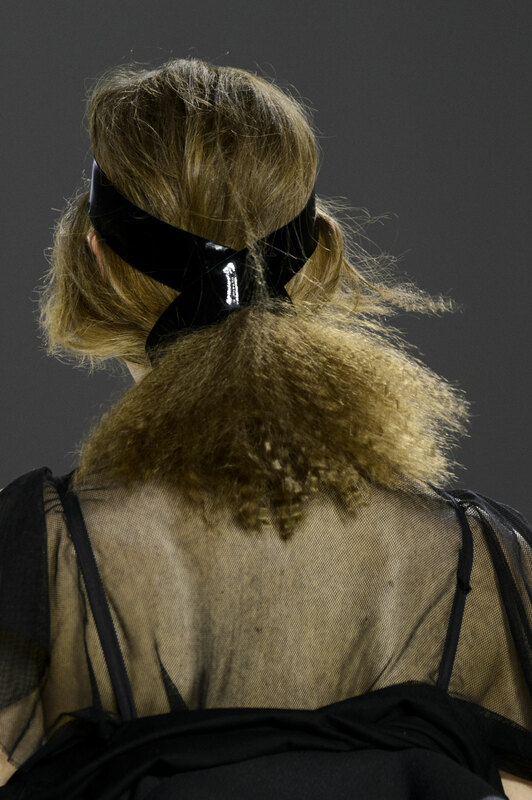 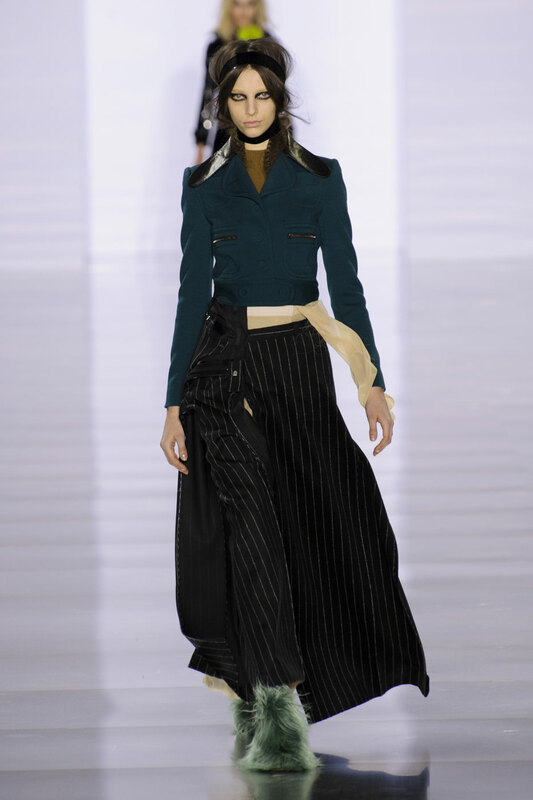 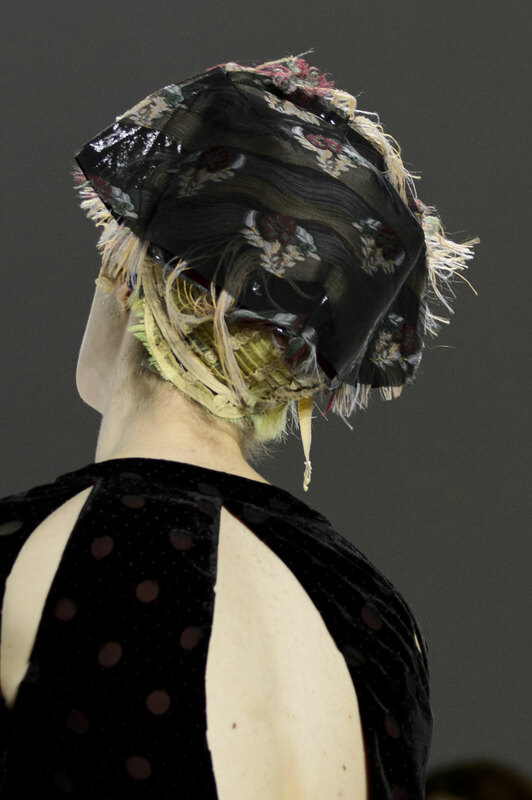 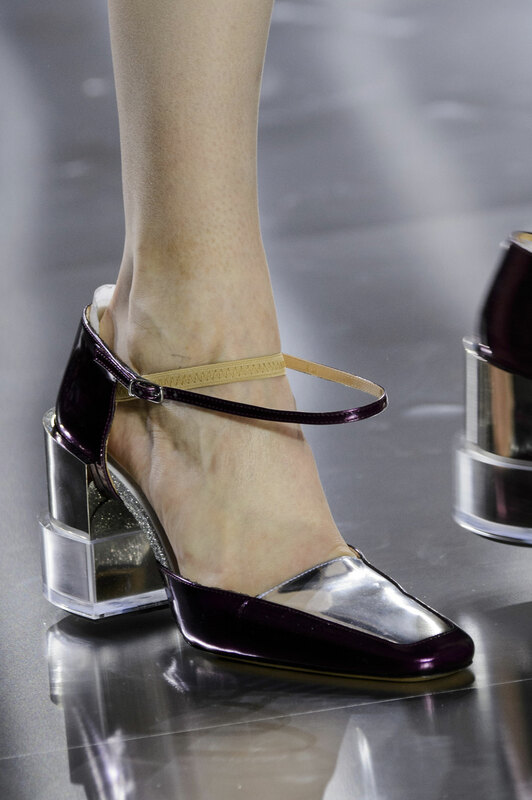 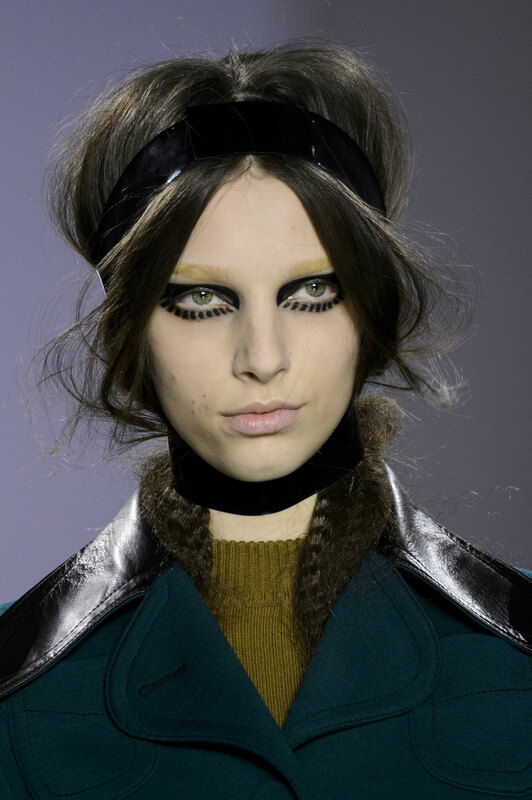 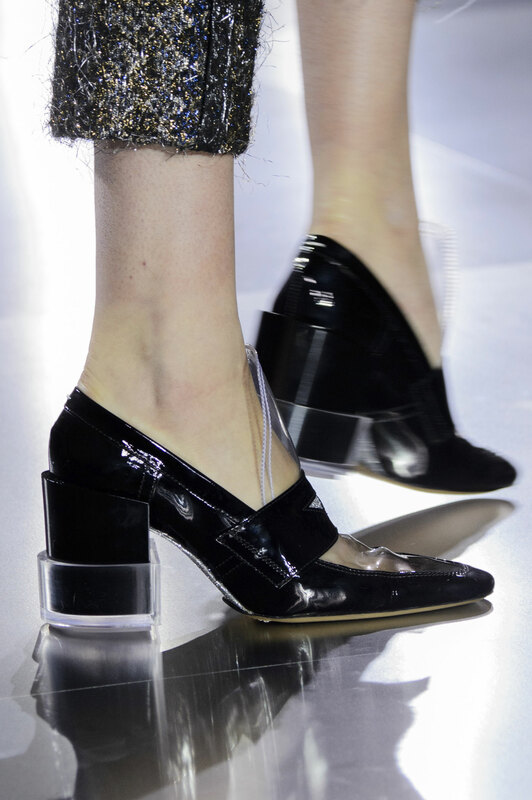 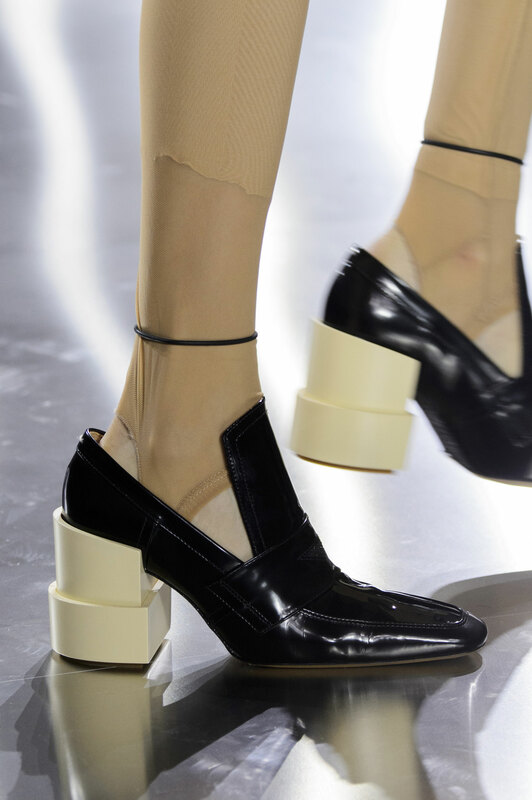 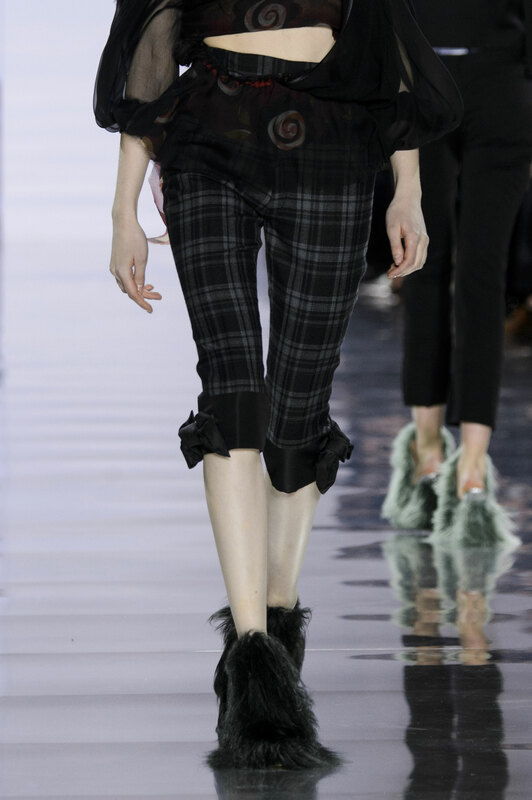 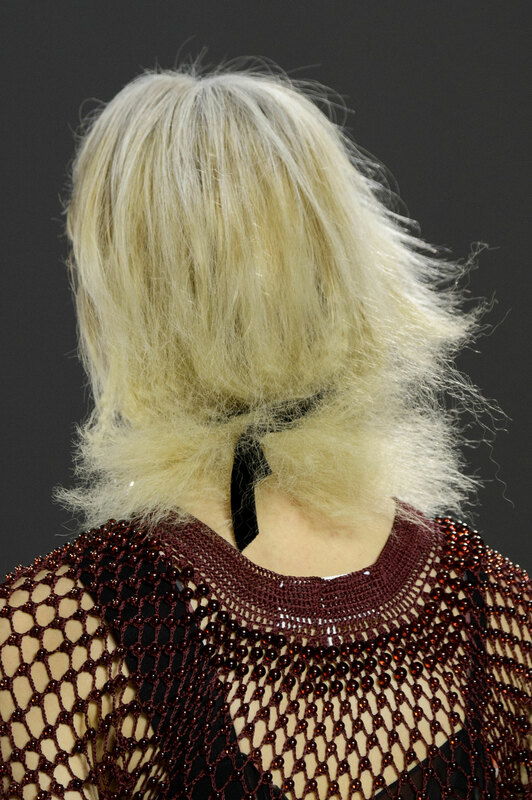 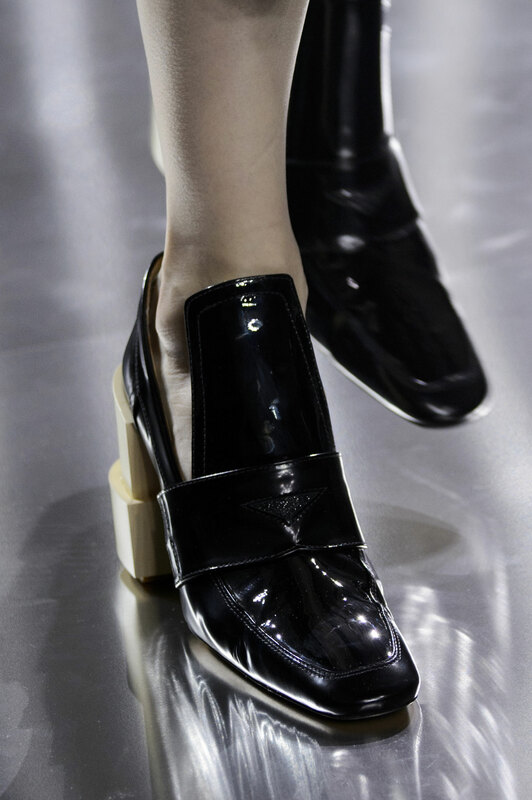 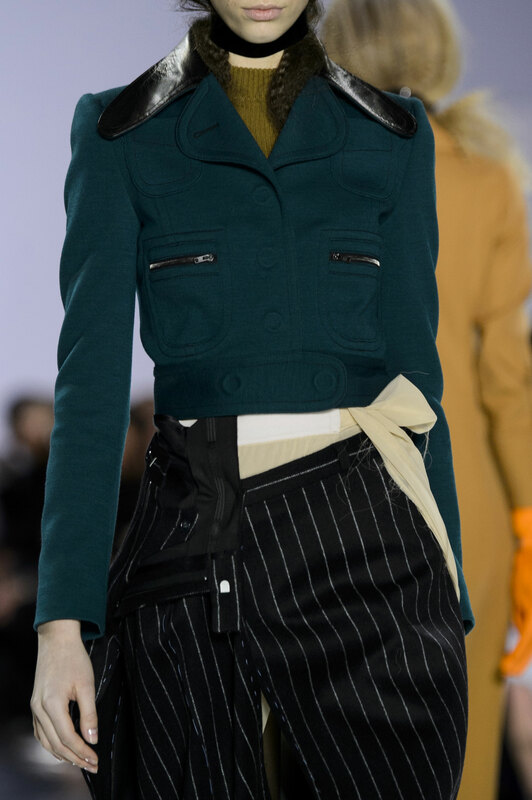 Maison Margiela Women Autumn-Winter 2015 – John Galliano returned to the Paris catwalk with his debut collection for Maison Margiela, and the suspense was high to see just how the two would merge together. 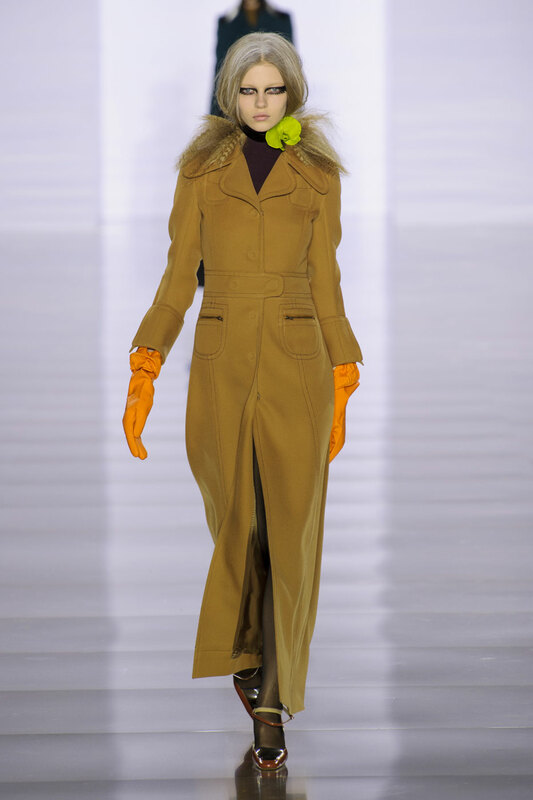 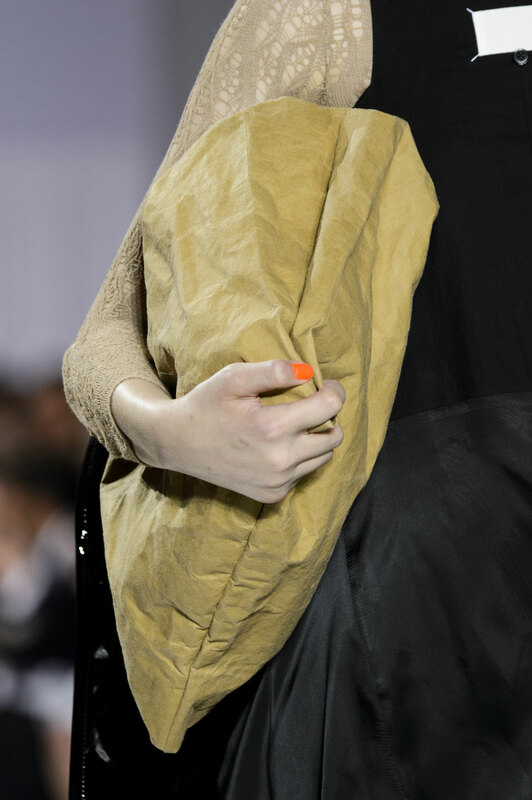 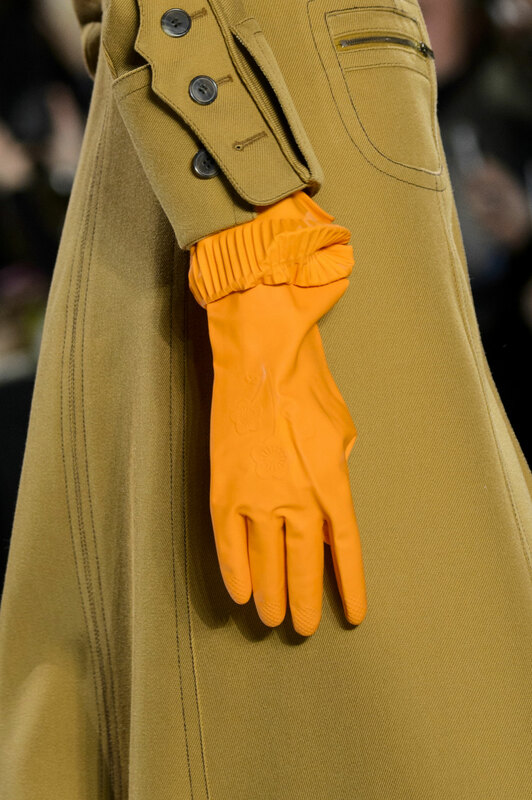 The collection started with a green narrow maxi coat paired with unusual rubber gloves and was a hint of the crazy fashion circus that was to follow. 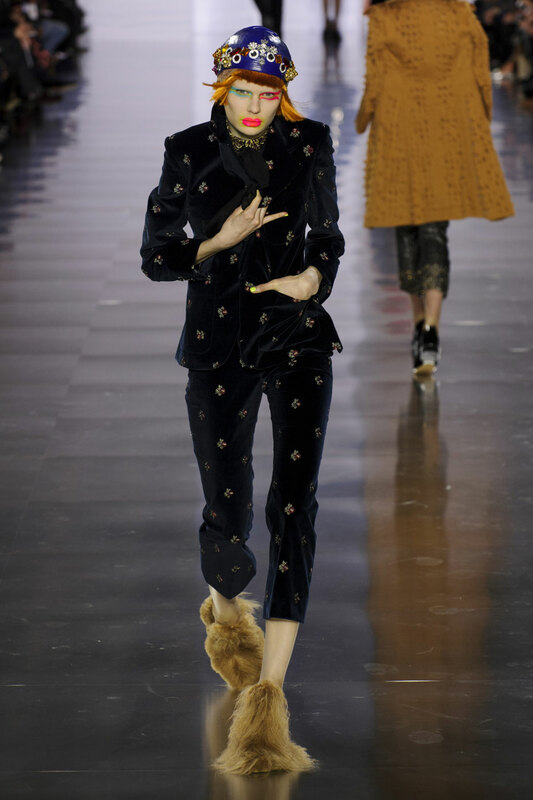 A smart suede trench, embellished velvet suits, silk flared pants, jacquard printed cigarette pants and neat black separates proved that this was a very wearable collection. 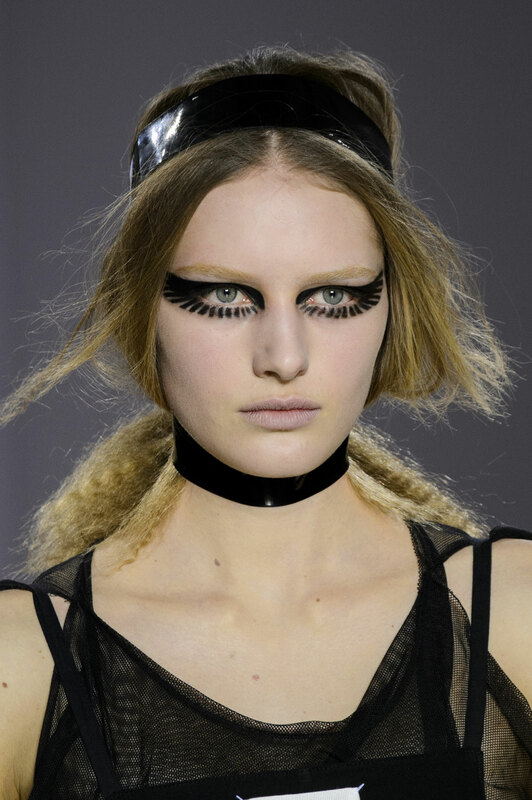 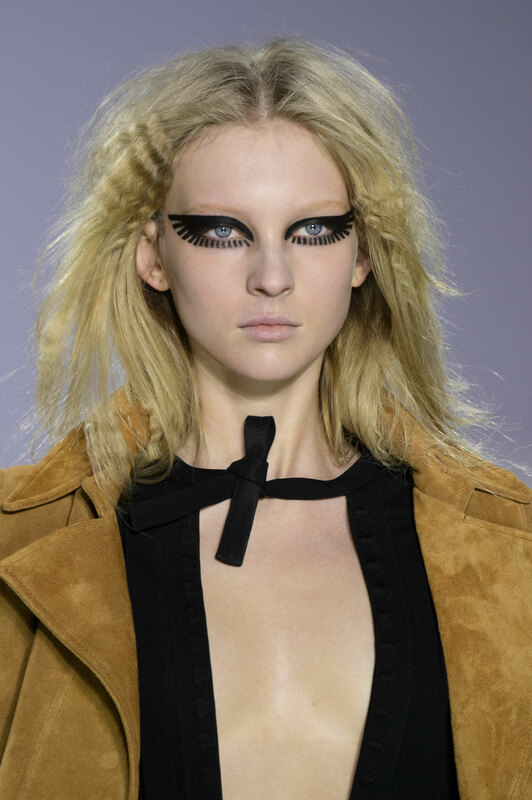 Textures including silk, leather and feathers were layered to a great effect, and a gothic lace high necked dress and chokers brought a darker alternative to the other bright spectacle colours in the collection. 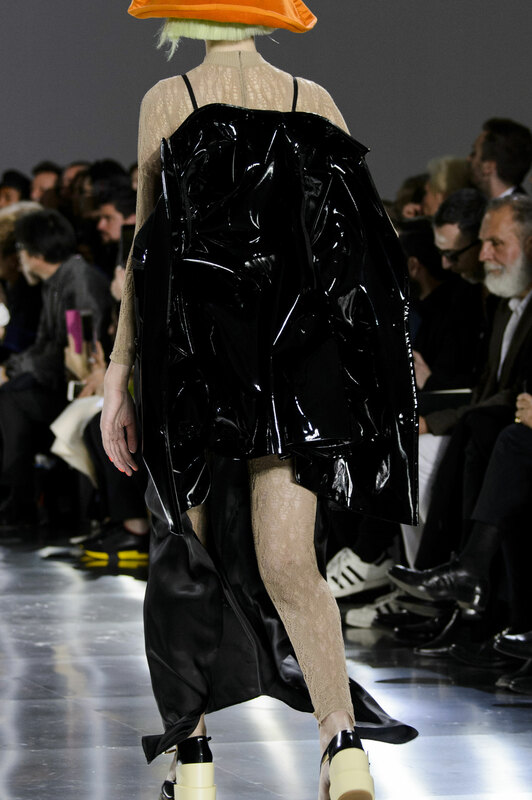 A chiffon slip dress with black vest, felt like a throwback to the brand’s 1990s minimalist roots. 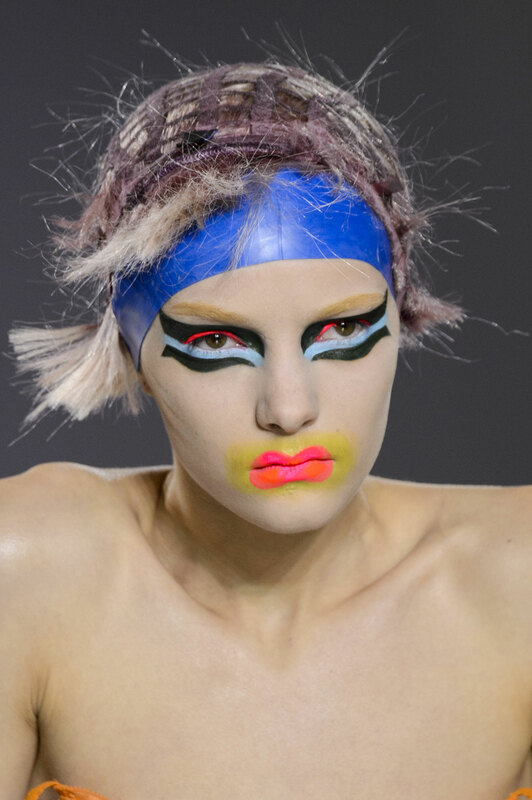 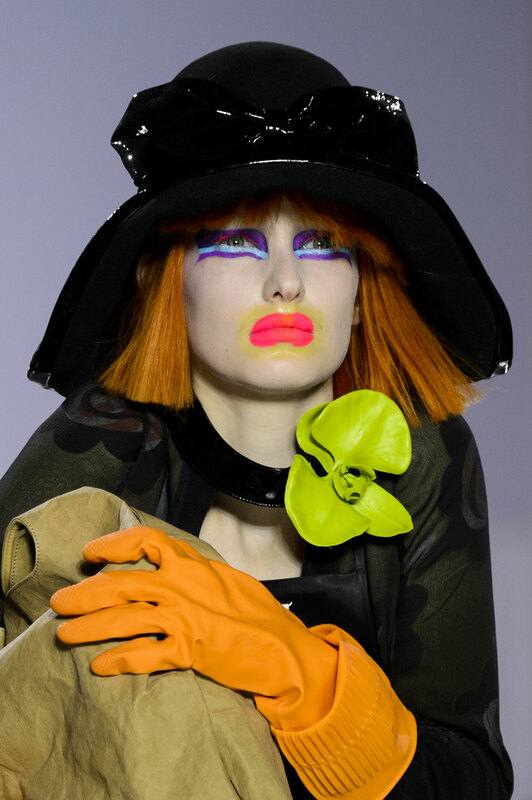 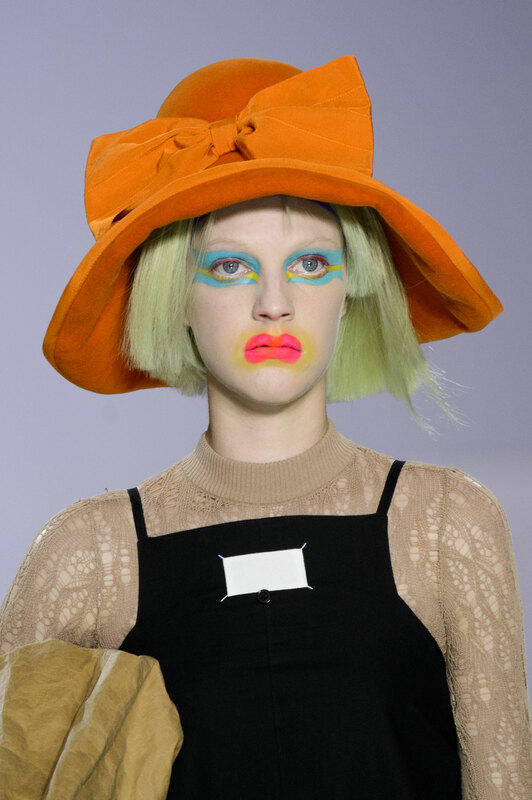 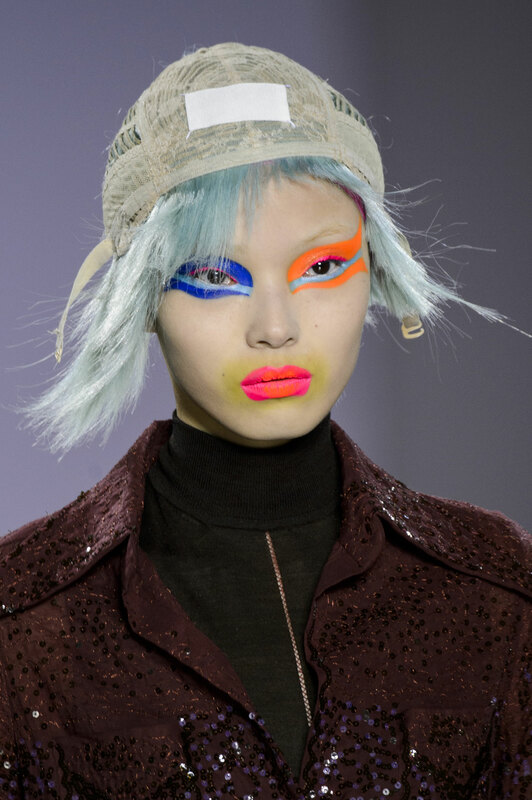 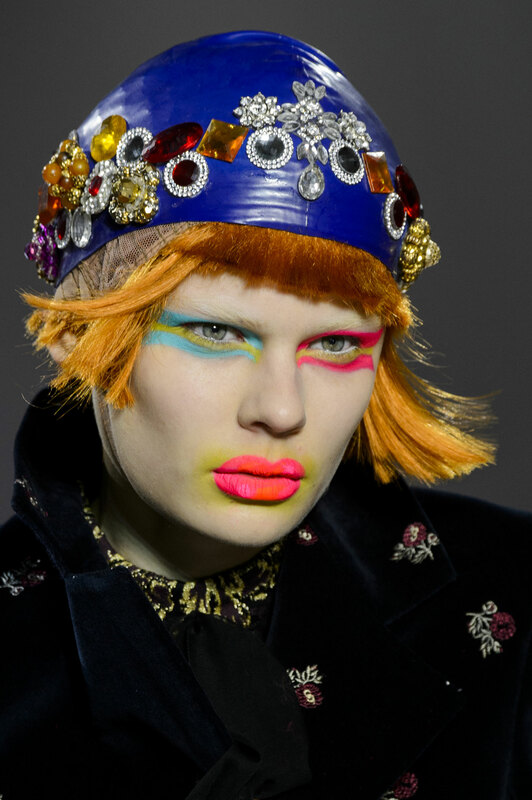 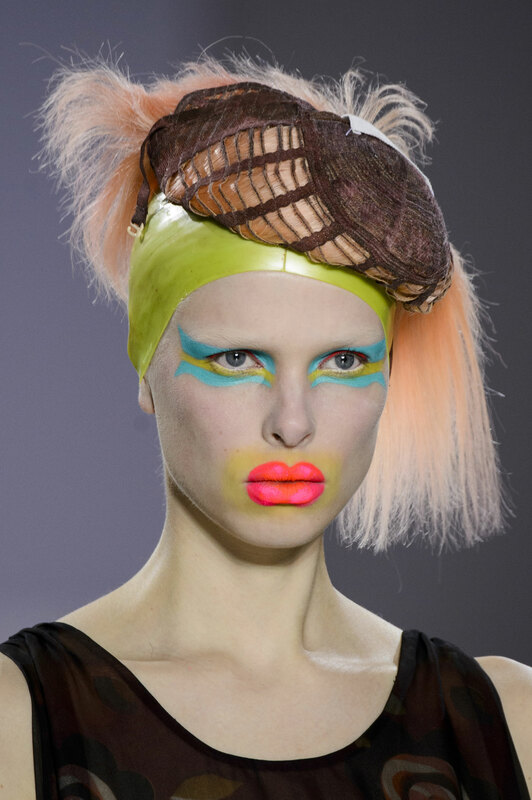 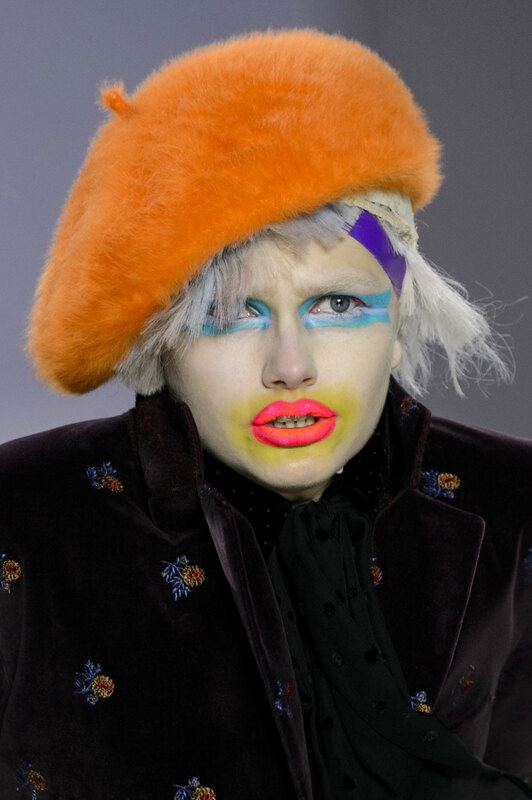 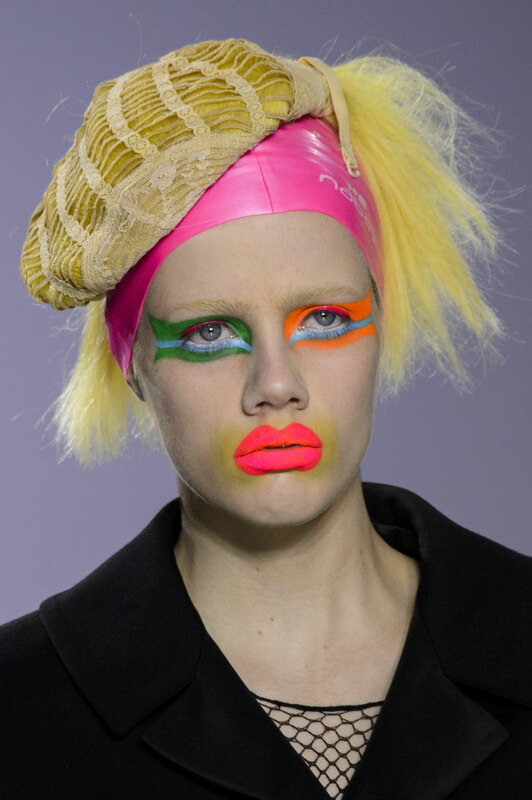 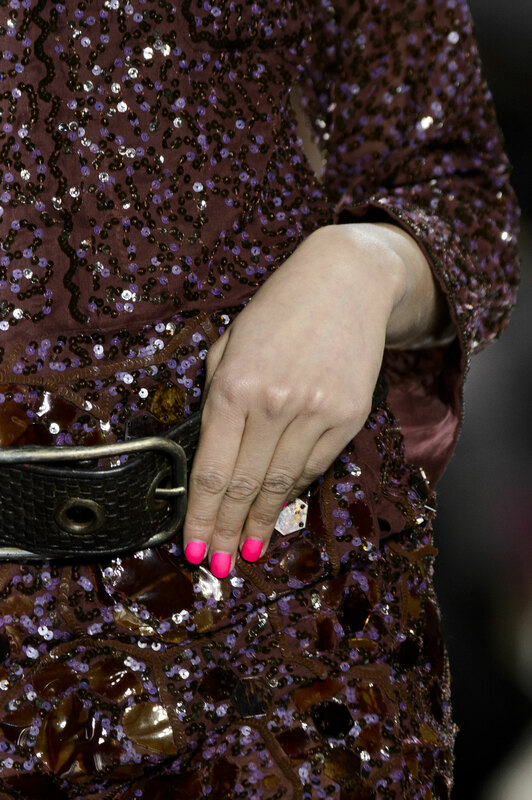 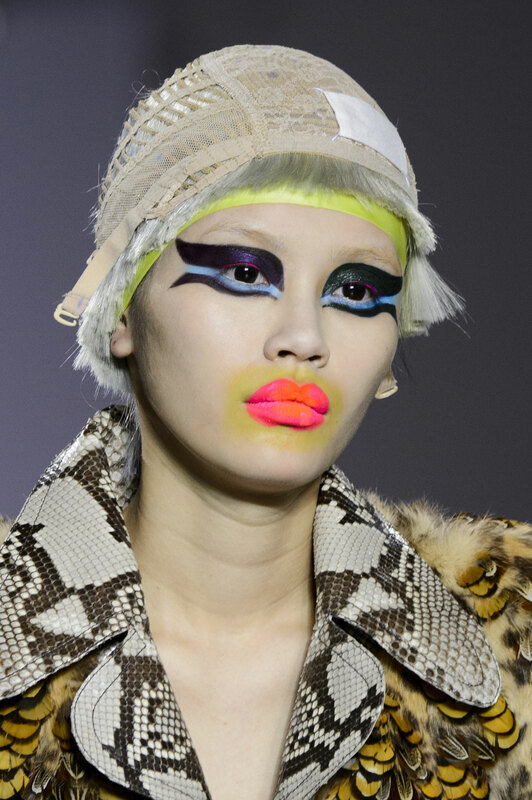 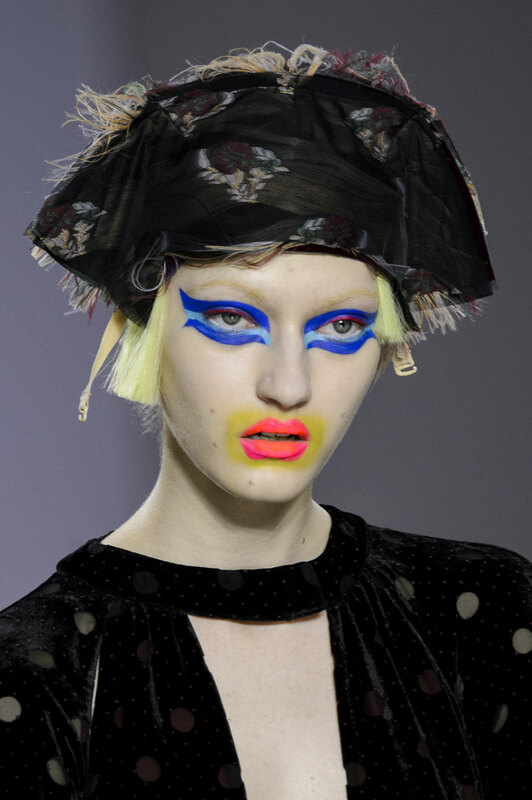 But it was the models in neon clown like makeup creeping along the catwalk in awkward positions carrying a paper bag or wearing a pinstripe bustier had Galliano’s name all over it. 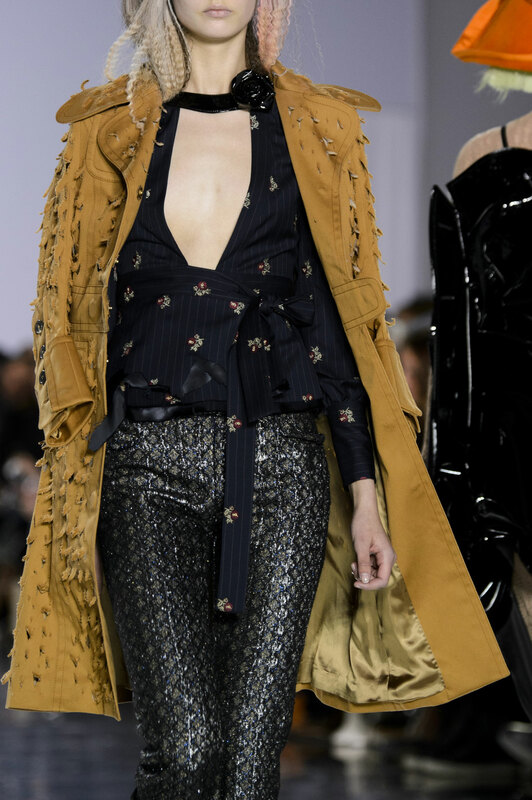 Sheer panelling added a sexier edge and was the result of his romanticism aesthetic. 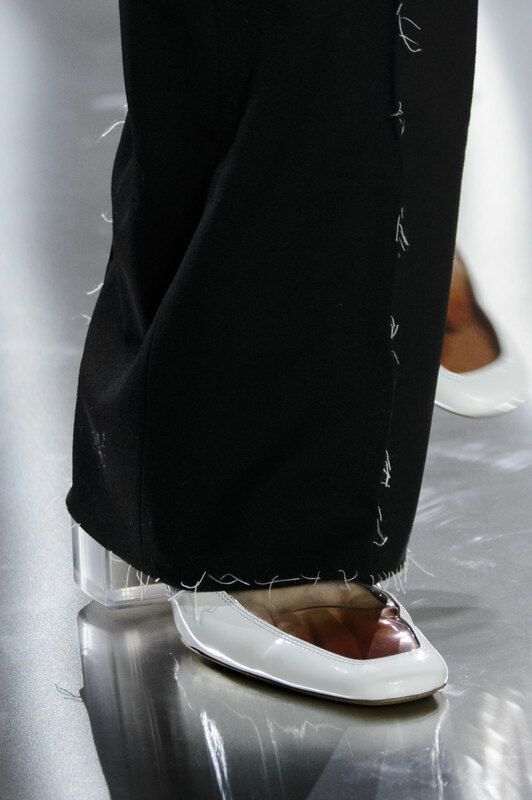 The result of the show was almost like nothing we’ve seen before. 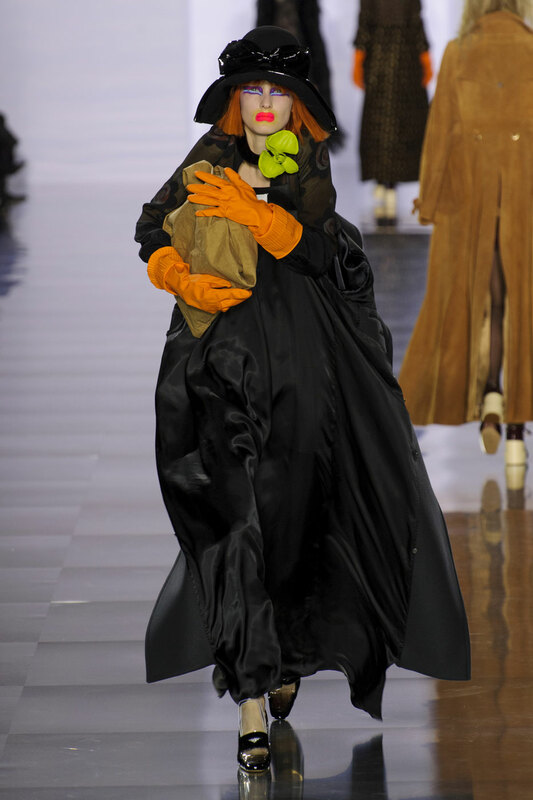 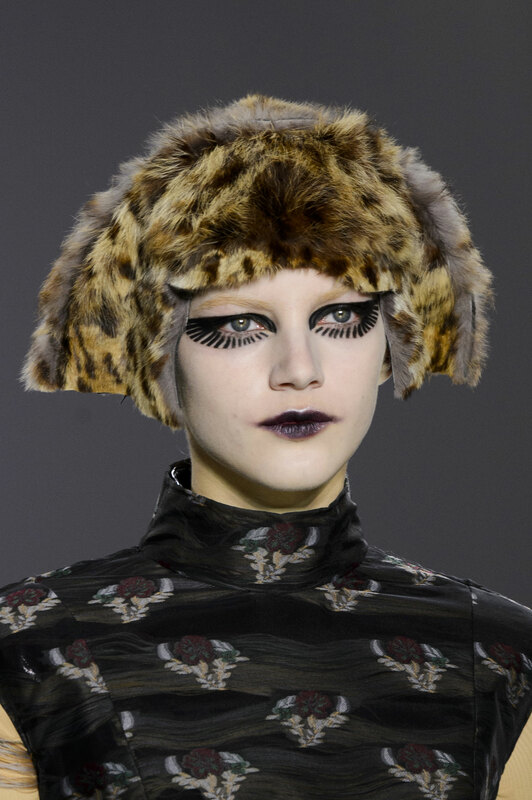 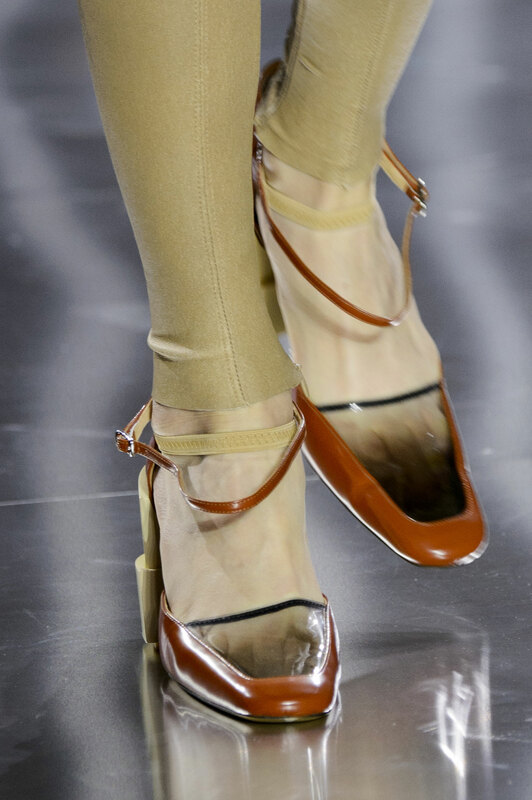 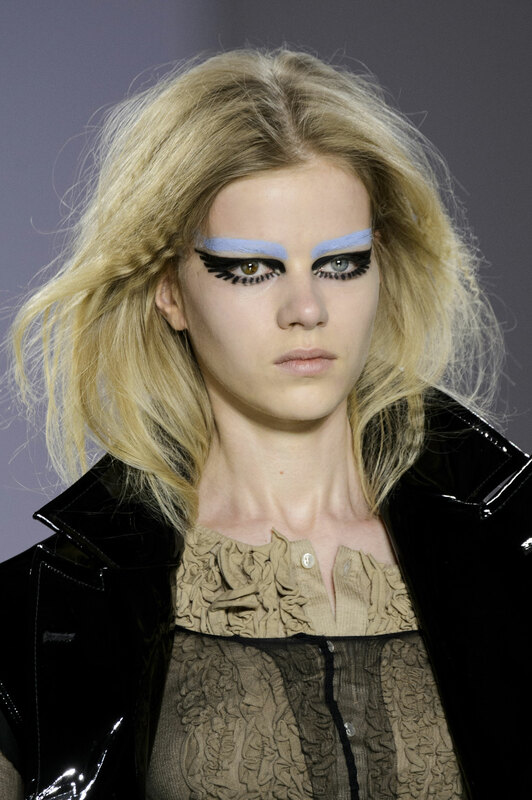 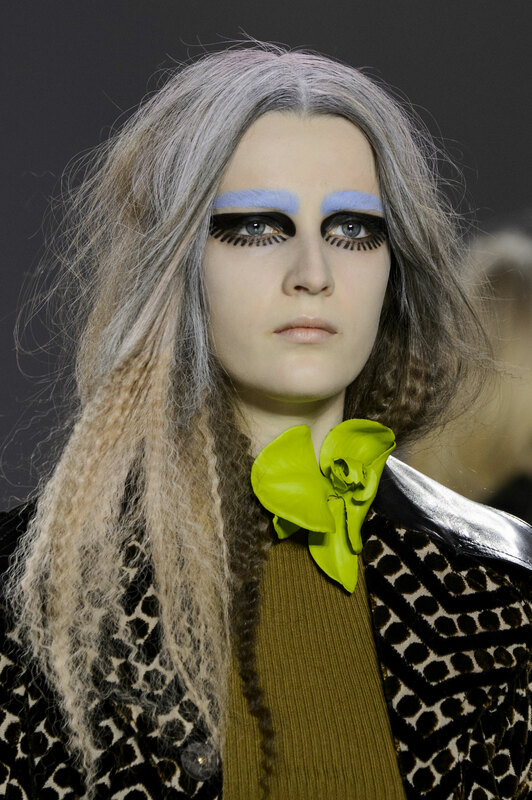 Well, in fact, it was like Galliano at his Galliano best. 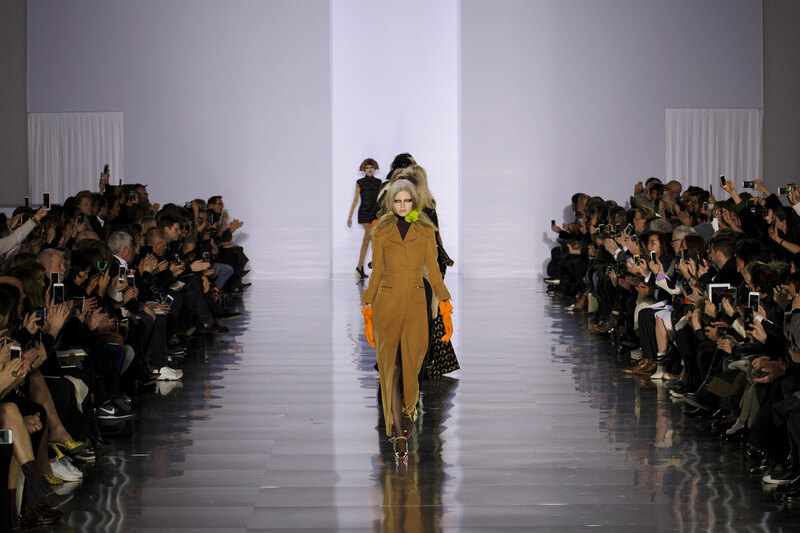 It was a memorable collection from the master of dramatics and showmanship. 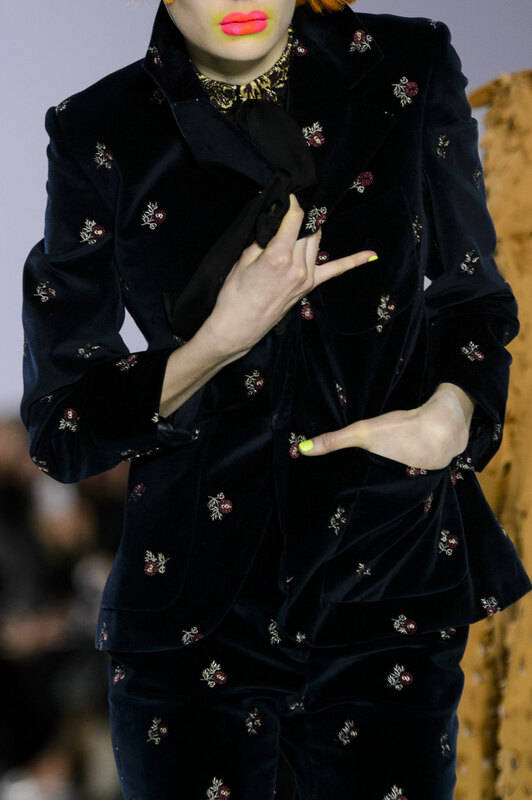 The audience agreed. 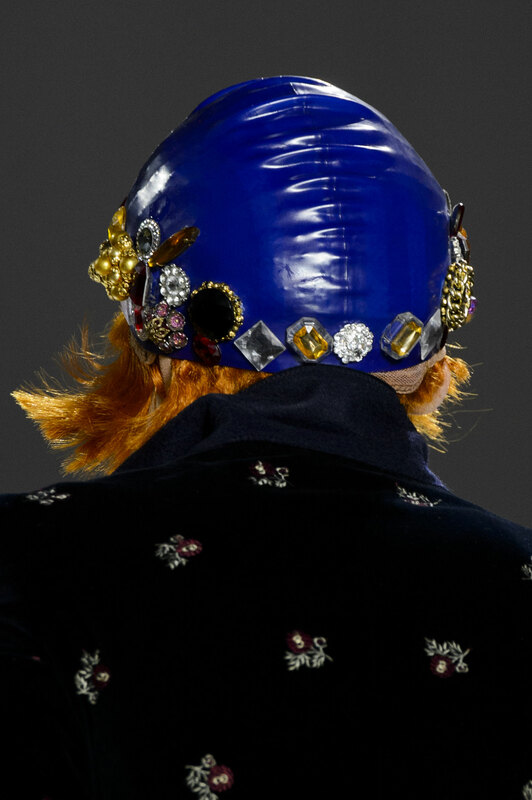 Applauding and cheering for the British designer to appear and take a bow, but he was a no show.